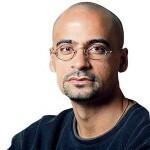 Junot Diaz created a literary sensation with his first short collection in 1996. The book, Drown, told the story of a young Dominican boy named Yunior and his family as they struggled with the pressures of poverty, immigrant, isolation and cultural expectations. His second book, The Brief Wondrous Life of Oscar Wao, picked up on some of the same characters and themes as Drown. The Brief Wondrous Life of Oscar Wao earned Diaz the Pulitzer Prize and made him one of the premier writers working in America today. Diaz’s new collection, THIS IS HOW YOU LOSE HER, picks up with Yunior and his family ten years after the stories of Drown, and The Brief Wondrous Life of Oscar Wao. 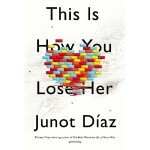 Written with beautiful, powerful language and an infectious passion for storytelling, This is How You Lose Her is a deeply moving and gut-wrenching addition to Diaz’s body of work. Writer’s Voice producer Drew Adamek talks to Junot Diaz about his new collection, his own writing challenges and what the future holds for aspiring writers. This week, Occupy celebrated the one year anniversary of its start at Zucotti Park. In the intervening 12 months, the movement changed the national conversation, putting economic inequality on the front pages of the media and on the political agenda. But the Occupy encampments are long gone and many people are asking whether the movement has gone largely dormant. Was it a flash in the pan — or has it changed its form, embedding itself more intimately in communities to take up different issues in different places? 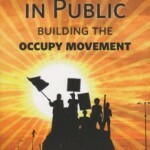 The new book, DREAMING IN PUBLIC, brings together dispatches, essays, blog posts, and images from within the movement. The voices range from the well-known, like political writer Naomi Klien and novelist Barbara Kingsolver, to lesser known organizers and activists. The contributors wrestle honestly with key issues — like how do you create a democratic movement that is inclusive, while remaining true to core principles? How do you deal with diversity of race and gender? How do you make decisions democratically — but also remain effective and timely? Mother and son team Amy Schrager Lang and Daniel Lang-Levitsky co-edited the volume. 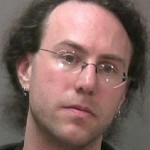 Amy Lang is professor of English and humanities at Syracuse University, while Daniel Lang-Levitsky is an artist, theater producer, writer, and founding member of the Direct Action Network and Jews Against the Occupation. Last November, Francesca sat down with Occupy Wall Street organizer Marina Sitrin. She edited the book Horizontalism: Voices of Popular Power in Argentina and contributed an essay, “The Chills of Occupied Power: The First Month of Occupied Wall Street,” to the first book about the Occupy Wall Street movement, This Changes Everything: How The 99% Woke Up. We air an excerpt this week.